We know. Your HOA runs like a well-oiled machine. The grounds are beautiful. Everything works. Your reserves are funded. Neighbors never fight. People always pay their fees on time. 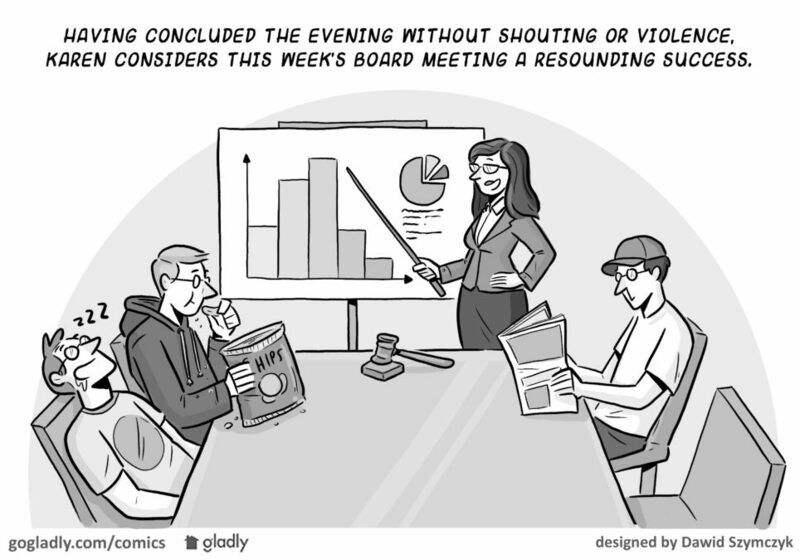 And nobody ever complains about anything…except the meetings. In all seriousness, even if your HOA is the happiest group of peace lovers since Woodstock, chances are your meetings could stand a little…tweaking. We hope this advice will help you keep your meetings running smoothly and on time. Agendas should 1) always be a thing and 2) be created by the elected manager and board president. Input from board members should be sent directly to the president in advance, so any necessary items can be included on the agenda. The key is to create an agenda where the most important items of business can be resolved; and not to overload it with stuff that can’t be put to bed during the meeting. For example, for a particular item the conclusion may be to discuss it and then vote yes or no. Sometimes during a meeting, it becomes clear that there isn’t enough information in the board packet to enable an informed decision. In this case, someone should move to postpone until a later meeting on a specific date. Then, they should direct management to take an identified action to obtain the needed information before that date. When that’s done, the meeting should move on to the next agenda item. Period. When creating your agenda, set a specific amount of time for each item, so the meeting can be concluded on time. At the beginning of an item’s discussion, state how much time is allotted. This helps train everyone to stay on topic and get to the point, which can also help people stay engaged in the meeting. When the time limit is reached, the president should simply state that the time limit for that item has expired, and move on. Sure, this is easier said than done, but getting the support of key board members in advance can really help move things along. 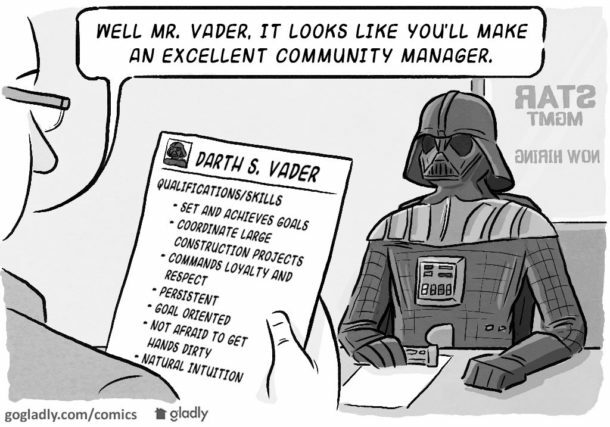 This might be the toughest part of meeting management. A timed agenda can really help, but even then, you must keep people from getting off topic. When the inevitable squirrel does distract, the president needs to be willing to speak up. Make it clear that things are getting off track and this is not an agenda item. If a distraction has merit for later discussion, direct management to add that item to next month’s agenda and leave it at that. Sure, hearing people out seems to fly in the face of the last piece of advice. But the fact remains that it’s the president’s responsibility to let each opinion be heard, within a reasonable time limit. This applies to off-the-cuff opinions as well as to people actually scheduled to speak. Let everyone know how much time they will have. It might help to use a timer, but let someone other than the president handle it, so they can give their full attention to the speaker. Hearing people out isn’t just a matter of respect and covering potentially unseen bases. It’s a way to make everyone at the meeting feel like they have something to contribute, so they have some skin in the game. Just not with a dunking booth or public hanging. When a member is unprepared, try saying something like,“this information is in your board packet; I had to read the entire packet; didn’t you?” You can add a chuckle to keep things light. But still, everyone should get the point. If you don’t prepare for the meeting, you are wasting everyone’s time (including your own). But seriously, if board members fear — even a little — being discovered by others as unprepared for the meeting, they’ll more likely take their preparations more seriously. And that makes any meeting more productive. Again, if there isn’t enough information to make an informed decision on something (see “keep it realistic” above), then avoid debating the issue during the meeting. This is a huge problem that only wastes time and creates unnecessary friction (you don’t need any more of that, do you?). Before a nasty debate ensues, either assign that item to a committee (if you are lucky enough to have committee volunteers) or to your manager for follow-up. If things get a little hot-headed, don’t be afraid to table the issue for another designated time to gather more information and let cooler heads prevail. Above all, don’t be pulled into the drama. No matter how things go, the president should focus on respect and being a good neighbor. Many times, that attitude trickles down from the top. Thanks for the article. It’s rare to find someone with this kind of passion for HOA meetings. Thanks for the thoughtful and helpful tips. It’s rare to find someone with this kind of passion for HOA meetings.